We are an eminent name, which is engaged in delivering Plastic Bucket for Lubricant Oil to our clients. The offered range of plastic buckets for lubricant oil is designed & developed utilizing high grade raw material and highly modern machines in strict tandem with the industry laid norms and standards. Along with this, the offered range of plastic buckets for lubricant oil is suitably checked on different parameters to ensure that defect-free products are delivered at clients' premises. Features: - Durable - Sturdy construction - Reliable performance - Superior efficiency Specification of Plastic Bucket for Lubricant Oil :- S. No. Bucket Material Capacity of the Plastic Bucket For Lubricant Oil 1. 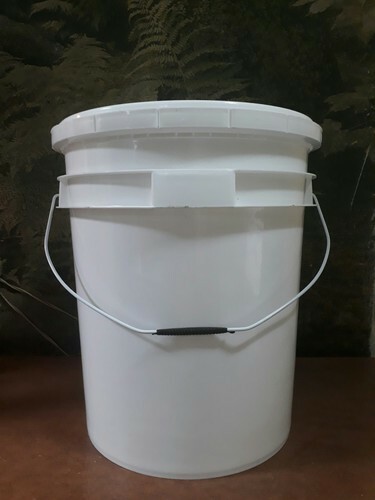 Plastic Bucket 20 Ltr. Since 1985, Our range of metal & plastic containers is available in variable shape & sizes and is produced in voluminous amount to cater to the bulk requirement of our global clients. Further, our quality control department ensures that our products are checked at every level of manufacturing process. Our qualified management and skilled manpower has enabled us to emerge as the front-runners in the industry.